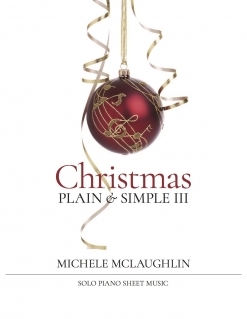 Christmas - Plain & Simple III is the companion sheet music book to Michele McLaughlin’s solo piano album by the same name. 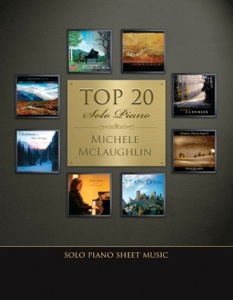 One of the most popular pianists around, Michele’s music is easily-accessible and fun to play. Her arrangements of Christmas carols are always original, but not “too different.” The collection includes eleven arrangements of traditional carols and songs plus one original piece. Most pianists at an upper-intermediate playing level should have little trouble learning this music with a little practice. More advanced pianists will love being able to sit down and play through this book. The book itself is spiral-bound with full-color photos on the front and back covers. The songs are printed on a fairly heavy paper stock, but I didn’t have any trouble with page turns. Transcribed note-for-note from the recording by Rebecca Oswald and proofed by myself, these transcriptions are as close to the recordings as possible. They are well-spaced, easy to read, and include phrasing, pedaling suggestions and metronome settings. Most of the timing is pretty straight-forward, but some of the rhythms are different from the “usual” way you hear them, which makes the songs more fun but may require some counting to get them right. 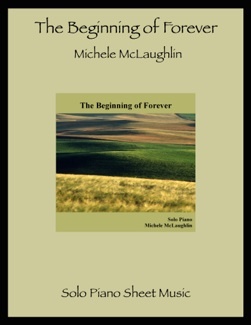 The book also includes a full-page bio of Michele in the front. This is a really nice collection of piano solos and I highly recommend it. 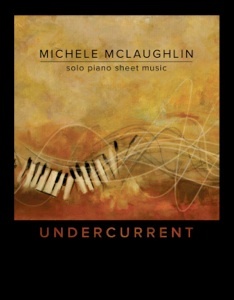 All of Michele’s sheet music is currently available exclusively from www.MicheleMcLaughlin.com as physical books, PDF books and downloads of the individual songs.